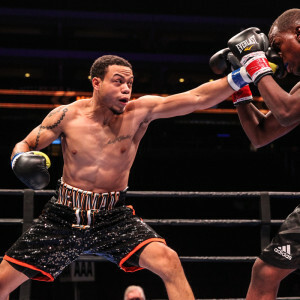 When I spoke with Kevin Newman last May, he was ready to return from his first loss and get his career back on track. What struck me was how grounded the guy was, confident, yet realistic. Sure, the loss, which occurred on last summer’s Mayweather-McGregor undercard, hurt, but life moved on and it was time to get back to business. The conversation made one think of all the great fighters with not one, but numerous losses on their records (in other words, the vast majority of great fighters). Unfortunately, Newman’s comeback fight was canceled. Not that he let it eat at him. “Opponent issues,” he says matter of factly. “Guy bailed on us last minute.” Now, with a new fight scheduled for this evening, Newman is ready to finally get back to business. As far as Newman’s concerned, the cancellation “just gave me a little more time to sharpen up.” And so tonight, at Sam’s Town in Vegas, Newman will be entering the ring against fellow supermiddleweight Cesar Ruiz. “Tough guy from Mexico,” he says of his opponent. “He’s a shorter guy… I’ve got the height and reach advantage.” Not that Newman intends to become overconfident. “I’m just focused on this Friday,” he tells me. He won’t have to travel far to get to the fight. For Newman resides in Vegas with his family. “Yeah man,” he says, “it’s always good to fight at home…I’m a home town guy.” That fact certainly makes things easier when one is a fighter who lives in the boxing capital of the world. There’s also the fact that one doesn’t have to journey far from home to fight. What’s more, Vegas is the center of the Mayweather Universe, which Newman is a part as a member of The Money Team. Newman knows how important it is to have strong backing, but he’s also self aware. “I was trying to campaign at middleweight,” he says of the not so distant pass. It simply wasn’t meant to be, however. A fighter’s body simply changes. “My body is filling out and getting older,” he states. Here, after all, is a man who is disciplined enough to make weight, but who understands that a higher weight division is better for him at this point. “With me, it’s not necessarily the pounds,” he says, “maybe (it’s) my bone density or something like that…I could tell my body looks a little different the lower I dig.” It’s a common situation for many, if not all, fighters, one that Newman aims to take advantage of now that he’s a supermiddleweight. Even though Parker (24-0, 18 KOs) weathered a strong challenge by Hughie Fury in Manchester, England, last September, many boxing pundits still don’t give the New Zealand heavyweight much of chance against the charismatic Joshua (20-0, 20 KOs), a gold medalist for Britain at the 2012 London Games. A large part of this pro-Joshua tendency is what might be termed the “Klitschko Afterglow.” The April fight — in which AJ dethroned the king — was so exciting, so dramatic, so theatrical even, that is it little wonder that AJ glows in the eyes of many commentators. 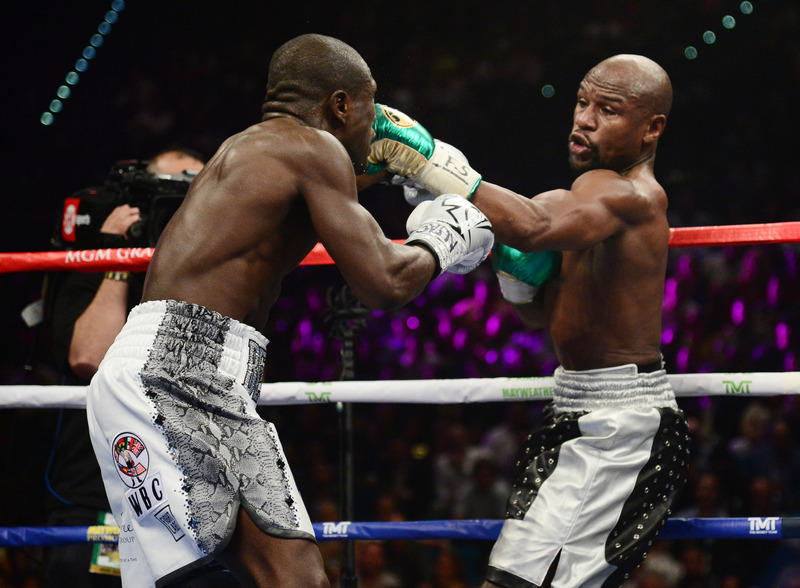 I confess that it was, for me, one of the most thrilling fights of the year, hands down. But we should also remember that Klitschko had the former Olympic gold medalist in real trouble in the latter part of the fifth round, and then in the sixth round, as Dr. Steelhammer dropped Joshua with a blistering straight right. There are two areas where I think the Kiwi champion actually has the edge: in the combination of footwork and hand speed, and in his conditioning. AJ will certainly have the edge in crowd support, but this can cut both ways, as we will see. First, Parker probably has the fastest hands in the division, and he really had to learn how to move in the ring in order to beat Hughie Fury. Joshua does not fight off his back foot (like Fury), and thus the two British fighters are quite different. But if Parker can use his feet to create some difficult angles and to benefit his double jab, it will give him an edge over the slower-moving Joshua. Parker uses his jab to the body and the head, and follows it with a straight right, exactly the type of punch that put Joshua on the canvas in the Klitschko fight. Intimately related to footwork is conditioning, and here I think Parker has a clear advantage. 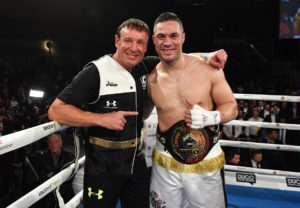 The Kiwi went twelve rounds with Fury, who back-pedaled most of the bout, but Parker looked as fresh and quick in the twelfth round as he did in the first. Barry said his fighter was frustrated by Fury’s style, but “Joe wasn’t tired at all” after the bout. the knock on Joshua is that he tends to get tired during rounds, and needs to recover on his stool. Klitschko exploited this, and there were points in Joshua’s fight against Carlos Takam in October where the big British champ looked gassed out. A highly conditioned and aggressive Joseph Parker will not let Joshua take time off during a round, and that could be the difference maker. 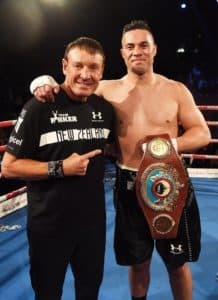 ​On May 6th in Manukau City, New Zealand, charismatic WBO heavyweight champion Joseph Parker (23-0, 18 KOs) made his first successful title defense, decisively out boxing Romanian Razvan Cojanu (16-3, 9 KOs) over twelve rounds. Despite a technically proficient and disciplined performance by Parker, the local media were disappointed, having hoped for a KO victory for their home town fighter. 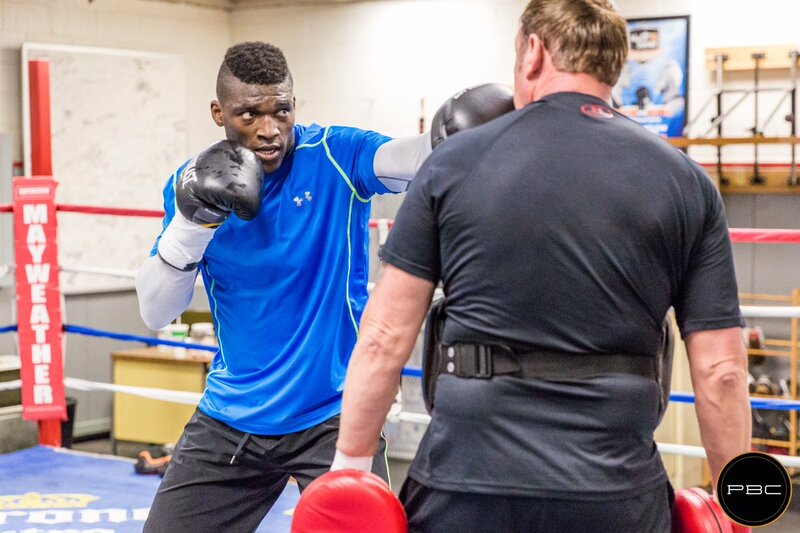 In addition to being 6’ 8” and good boxer, Cojanu was a sparring partner in Parker’s camp and a late-minute replacement for an injured Hughie Fury, the original opponent. He was, therefore, intimately familiar with Parker’s style.